Discover the magnificent scenery of the Pembrokeshire Coast National Park on a cottage break. Pembrokeshire boasts blue flag award winning beaches and several other attractions including ancient monuments, gardens, museums, theme parks and much more. You can explore its many attractions and heritage sites, such as the Carew Castle with over 2000 years of history, during your country cottage holidays. Irrespective of the part of Pembrokeshire you are staying in for a self catering cottage holiday, there are plenty of things to see and do. In case you are staying in Begelly, you can visit the famed Folly Farm. This adventure park and zoo will appeal to those looking for family day out. Popular attractions in Cardigan are the Leisure Farm Park and Cilgerran Castle. If you plan to stay in Haverfordwest for your cottage holidays, you have plenty of options in terms of attractions. You can visit the Pembrokeshire Coastal Path, Picton Castle and Garden, Haverfordwest Golf Club and venues where you can indulge in power-boating and sailing. In St David’s, you can visit the Ramsey Island, St David’s Cathedral, Ramsey Island RSPB Nature Reserve and Visitor Centre. There are many impressive castles located in Pembrokeshire that you can visit during the self catering cottages break, which reflect the glorious past of this part of Wales. Carew Castle, Llawhaden Castle, Manorbier Castle and Pembroke Castle are some of the highlights of the destination. You can also head towards the beautiful beaches like Whitesands Bay, Newgale, Broad Haven, Marloes and others, for picnic, relaxation or activities. 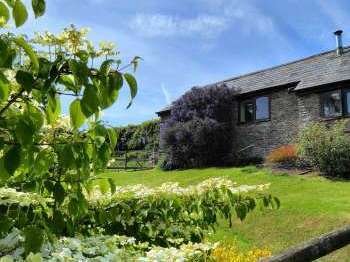 There are several country cottages near the beaches in Pembrokeshire as well as cottages in beautiful green Pembrokeshire countryside.